Earn your patient’s confidence. 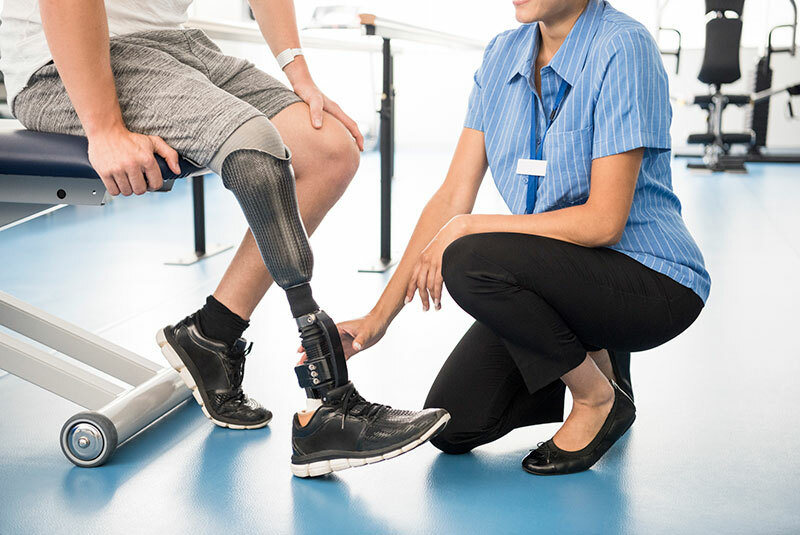 Created from thermoplastic and/or metal and leather, our orthotic products are custom-built to your specifications for a look and feel that your patients can wear with pride. For a completely custom look, we can match your patient’s personality to their orthotic by using prints of their favorite hobby, sports team or emblem that defines them and incorporating it into the fabrication. Some of the orthotic products we fabricate come in adult and pediatric sizes and include: crow walkers, ground reaction, articulated and patellar tendon-bearing AFOs, metal and leather and stance control KAFOs, leather ankle gauntlets, WHFOs, lacers, shoe transfers and more.